Barbie always wanted to become a reporter, but this job is very demanding. You should look great on the TV, so dress up for every fashion report! People dream about things, that will make them happy. 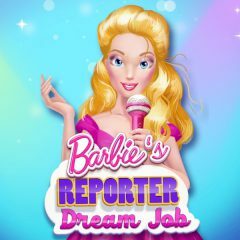 Barbie's dream is becoming a reporter, but she needs your help in that kind of deal. Why don't you help her to make a good first impression for powerful people.